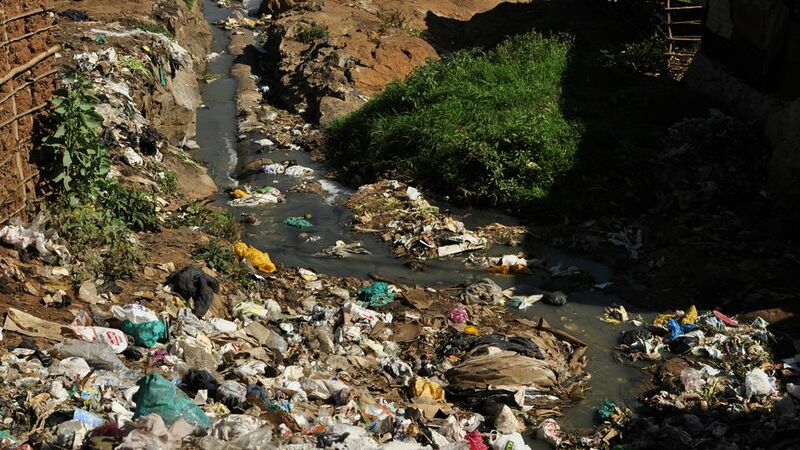 Africa’s biggest urban slum — Kibera — in Kenya’s capital, Nairobi, has serious humanitarian issues: lack of potable water and formalized sewage systems are two biggies. But a clever low-tech water filtration project that requires large numbers of discarded plastic water bottles could alleviate these problems. There’s no shortage of bottles, according to Nairobi high schooler, Jacob Smith. He says plastic water bottles are everywhere, tossed from car windows by all those wary of Kenya’s drinking water — much of which is high in fluoride. Smith is on the Brookhouse International School’s Environment Committee, which amassed a whopping ten thousand PET (polyethylene terephthalate) water bottles in the past year alone. These bottles became part of the wastewater recycling at a pilot “town centre” in Kibera. The centre is the brainchild of the Human Needs Project (HNP), a California based collaborative that developed the plastic water bottle filtration system. The centre is designed to operate as a fully self-contained entity providing up to 5,000 Kibera residents a day with the essentials — water, flushing toilets, showers and laundry services. The first order of business in self-containment meant boring a well so the centre would have a clean water source. Kibera residents buy trucked in water, which must be boiled because it’s usually not clean enough to drink. The centre filters its well water to ensure it’s not only safe to consume but also has acceptable levels of fluoride. About 19 million Kenyans (42% of the population) suffer from fluorosis — exposure to excess fluoride. Just as important in the sustainability stakes is the recycling of the centre’s wastewater, so as not to exacerbate Kibera’s sanitation problems. The slum is known for its ad hoc sewage system — flying toilets — plastic bags of poo that are flung out of shack windows at night. This is where all the plastic bottles come in — one hundred and fifty thousand to be exact. That’s the number that project overseer, Chris Sutton, of Redhorse Constructors, calculated it would take to make all the plavels — mesh onion bags stuffed with cut up recycled plastic water bottles. Recycling the centre’s wastewater is very important, so as not to exacerbate Kibera’s sanitation problems. Photo: Brad Ruggles. Creative Commons BY-NC-SA (cropped). The genius of the plavels, is the high surface area to volume ratio that all the shredded plastic bottles provide. These expanded surfaces mean there’s a lot of real estate for pathogen-eating bacteria to set up shop and go to work. Such bacteria occur naturally in all water and effluent. So the centre’s waste (grey) water and sewage (black) water gets cleaned by its own microbiotic hitchhikers, without needing a lot of expensive chemical additives. Plavels are placed throughout a series of filtration tanks, producing water that flushes the centre’s 15 toilets. In theory the treated water should be clean enough to drink, but Sutton says the level of monitoring to guarantee potable water is beyond the scope of the project at this stage. Though hopefully the water will soon be used to irrigate crops and a school football field that’s adjacent to the slum. When this pilot town centre is fully utilized by residents and financially sustainable, HNP hopes to open centres in the 12 other villages that collectively make up Kibera. This could mean being able to provide amenities to the 200-300 thousand people estimated to live in the slum. Such ambitions will take a lot of plastic water bottles, which is where the Brookhouse environment committee comes in. The students are keen to take their plastic water bottle project beyond the collection capabilities of their 750-student school. In fact, five of them were in California this month after winning a place at Algalita’s Plastic Ocean Pollution Solutions (POPS) International Youth Leadership Summit. POPS trains students on how to reduce plastic trash and get the word out about the growing problem of ocean plastic debris. 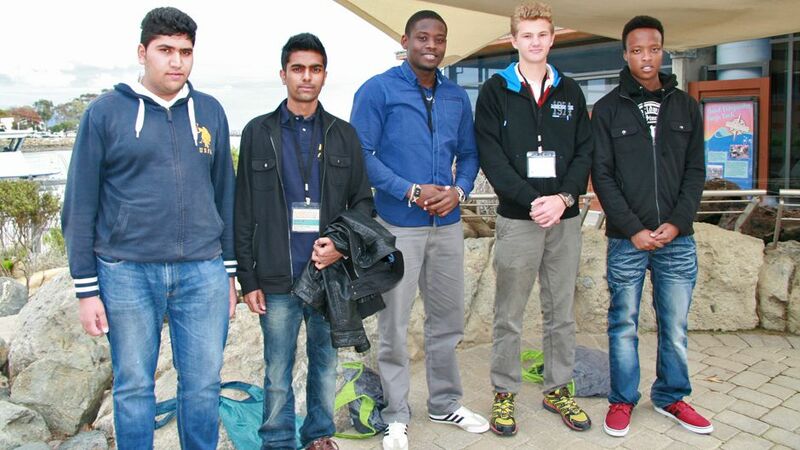 Brookhouse Environmental Committee members: Primal Bhachu, Mayur Varsani, Chris Gerry, Jacob Smith and Brian Kimeto. Ocean Institute Dana Point, CA, March 2015. Because, while Nairobi may be inland, a huge amount of the nine million tons of plastic that’s estimated will be dumped from land into the oceans this year starts out in places like Kibera with no formalized waste disposal infrastructure. Air and water borne plastic easily makes its way to our oceans where it comprises more than 80% of the trash. Questa Engineering Corporation designed the Kibera plavels with the goal of reducing Kenya’s “plastic bottle menace” and providing essential services. UC Davis scientists tested the concept — with the permission of California’s transport agency — in the wastewater treatment system at Dunnigan rest stop on Highway 5, north of Sacramento. 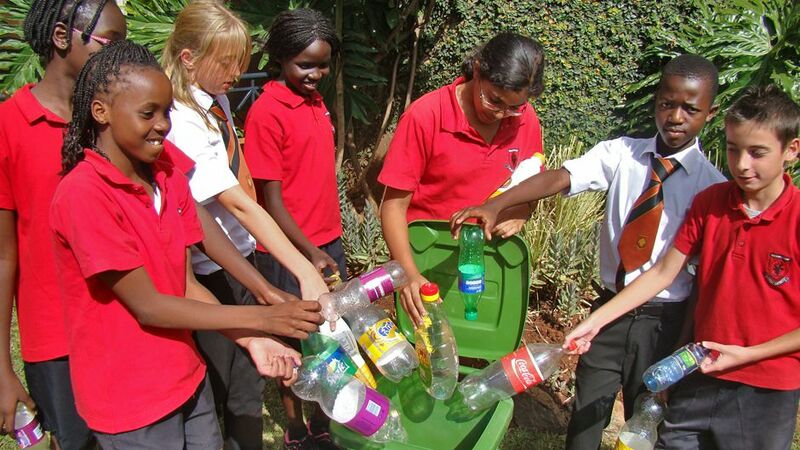 When the Kenyan high school students presented their plastic bottle collection project at an international summit held in Dana Point, they brought HNP’s plavel filtration full circle — from California, to the Kibera slum, and back. Engineering innovations that address environmental issues and the indignities of poverty are undoubtedly ecological and humanitarian win-wins. What the town centre co-op, HNP collaborators and Brookhouse students illustrate is for such projects to realize their potential, a collective of the willing must take part. Copyright Huffington Post. All rights reserved. Belinda Waymouth is a UCLA Geography and Environmental Studies Graduate, a Huffington Post Green Blogger and mother. Born in New Zealand, she now lives in Santa Monica, California.